How to beat the fourth Minigame of Epic battle fantasy. This “Mini” game is harder than you think,you just need enough faith to beat it. 1.You should practice “Aerial Attack” and “Ranged Attack“. 2.You should practice the whole game until your score always beyond 200. 3.Now you can repeat the first 30 seconds,you need at least 70 score,if you failed,try “quit” and start again. 4.Try beat the cat skeleton as a group,than they will reborn at the same time,it will help you keep the tempo. 5.Use “Ranged Attack” to beat a group(at least 3 cat) skeleton from left,then Use “Aerial Attack” to beat the rest of them. 6.When you at the right side,try step 5,but the direction was on the contrary. 7.The game speed will go really fast in the last 30s,be careful,you cannot take any hurt,the hitbox will take at least 2s,that will destroy all your work. 8.When you get the hitbox in the last 30s, don’t be panic,you still have a chance to get 230 if you play as well at the past time. 9.The best way to avoid the skeleton is kill them all,if you just want to dodge them,you only get more hitbox. 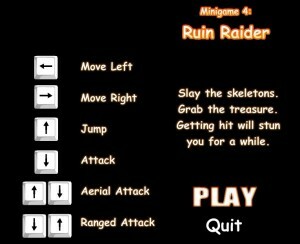 10.When you finally beat this “Mini” game ,you will found your score is more than 230. 11.Enjoy and have fun,don’t played by game,play the game! I found something that really helps. 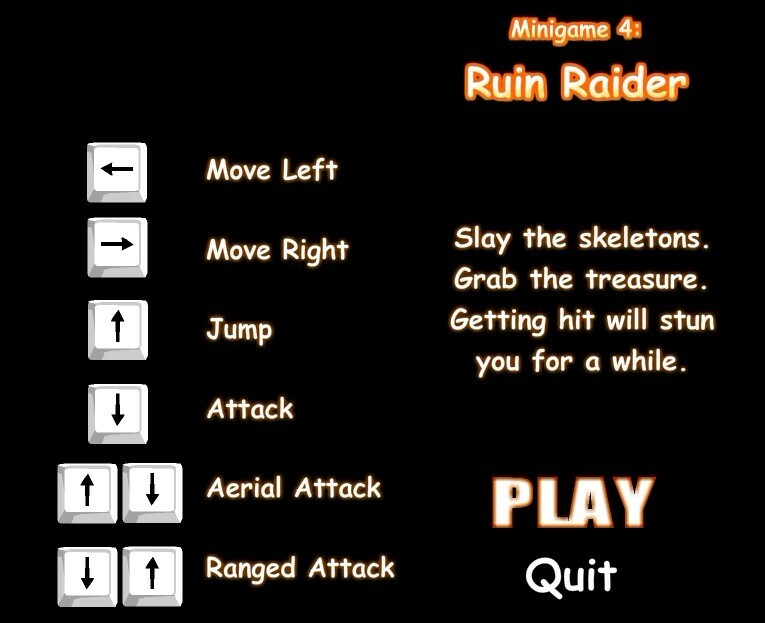 3. start the game, as soon as you do, move your mouse as far right as you can on the game screen and right click to open the menu. Leave the menu open, as it severely slows the game down. As you get further, its gets slower due to the increased number of boulders. Play the game like this, and you should have no problems. I got approximately 200 coins and got hit twice. That is more realistic.